Over $3 billion and near 15,000 job positions. That is the cost to Honduras, the third poorest country in the Western Hemisphere, as a result of a lack of rules for mining companies operating or wishing to explore in the country. Last year, Honduras mining exports totalled US$300 million, generated by the only three mining companies currently operating in the country. Carbajal said mining exports could have brought Honduras ten times more money, were it not for the fact that six companies had shut down their operations in the past year. “If nine instead of three mining companies were still operating Honduras would be exporting over US$3 billion”, he told La Tribuna. Despite this situation, gold extraction in the country still grew 16.7% in 2011, driven mainly by demand coming from overseas. Carbajal urged the authorities to reconsider the approval of the set of mining rules submitted to the Parliament in February this year. The project, aimed to streamline procedures and attract more investment to the country’s emerging mining sector, proposed shortening the licensing process and simplifying the rules and regulations for foreign companies wishing to operate in Honduras. 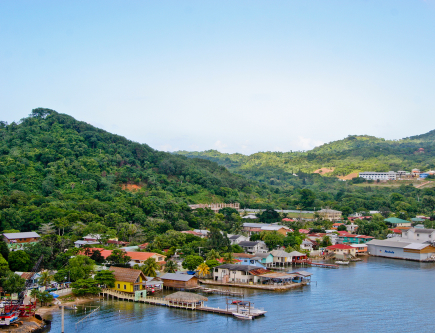 In anticipation, Honduras signed a mining cooperation agreement with Chile in January this year, under which the latter will provide technical assistance for the development of the Central American country's mining industry. "This shows that the government is serious about encouraging private investment in mining. The passing of the Mining Law will stimulate investment and provide a framework for the big mining companies to return to Honduras," said then-Natural Resources and Environment Minister, Rigoberto Cuellar. Although research shows that Honduras has metal deposits such as gold, silver, copper, lead, iron, zinc, and deposits of antimony, marble and precious stones, unfortunately, its mining potential has not been exploited. Mining was the backbone of the Honduran economy in the late 19th century, but declined dramatically in the 20th century. The New York and Honduras Rosario Mining Company (NYHRMC) produced US$60 million worth of gold and silver between 1882 and 1954 before discontinuing most of its operations. Mining's contribution to the GDP steadily declined during the 1980s, to account for only a 2% contribution in 1992.